Deep Creek Cattle Company is a large landscape ranch positioned in a highly scenic and diverse region of Montana. It is an area of sensitive ecology where the vast prairie collides with massive granite headwalls which rise and sprawl over two million acres through the Bob Marshall Wilderness complex and Glacier National Park. This ranch is a wild and magical place where one can readily discover remnants of dinosaurs, enjoy private fishing in an insanely beautiful setting, enjoy a diverse abundance of wildlife, while at the same time having the economic benefit of a legitimate balanced livestock operation. The fact that there are no buildings makes it a blank slate for a new owner to mark their chapter in its history. Deep Creek represents the very best of what Montana offers in that it consists of a phenomenal piece of land with extensive cultural, wildlife and water resources in a dramatic setting where a legitimate ranching enterprise will provide the income needed to support it for the enjoyment of generations to come. B Elfland grew up in Chapel Hill, North Carolina. In 1988, he graduated from the University of North Carolina with a degree in Business Administration. 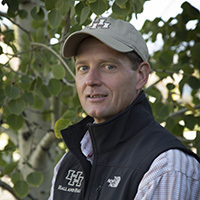 He then moved to Colorado and began a nine-year career in the ranch and resort industries. His admiration for the wide-open spaces and the abundance of recreational opportunities in Montana inspired his move in 1997. After farming and ranching in central Montana, B settled in the Bozeman area and guided fly fishermen on southwest Montana’s renowned waters for seven years. He was licensed in real estate sales in 1999 and is currently a licensed broker in Montana and Wyoming. 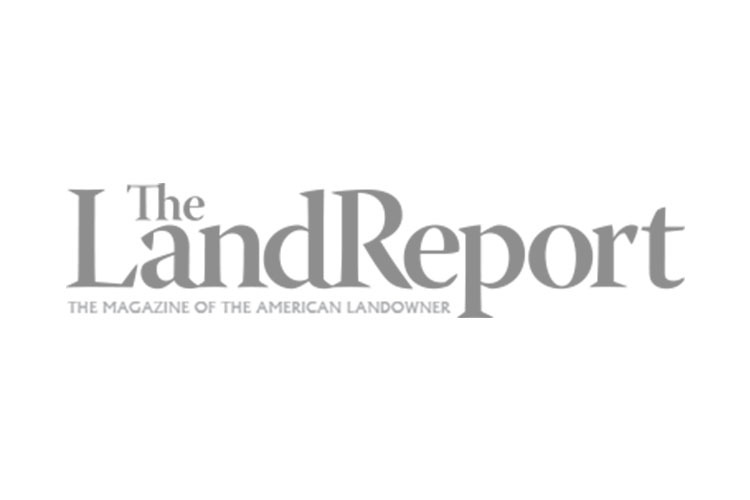 His lifelong recreational interests and professional background in ranching and the resort industries naturally led to a real estate focus in ranch and recreational properties. B treasures the time spent with his family on their small ranch and home along the Madison River. He is also an avid outdoorsman and enjoys backcountry adventures and hunting and fishing throughout Montana. Deep Creek Cattle Company is a 20,001± acre (15,840± deeded) ranch located nine miles west of Choteau along the Rocky Mountain Front. The Rocky Mountain Front is considered the most ecologically intact and diverse ecosystem in the lower 48 and is one of the most scenic on earth. The expansive shortgrass prairie with all its inhabitants abruptly collides with a colossal geological overthrust of the continental plates which pushed solid granite formations thousands of feet upward against the prairie landscape. Behind that granite curtain lies the second largest wilderness complex in the country; the Bob Marshall Wilderness Area which encompasses an enormous acreage running all the way to Glacier Park. The ranch has expansive grasslands as well as 842± acres under irrigation partially supported by a 21-acre reservoir. This provides a robust platform for cattle operations with a current estimated carrying capacity of 600 AU. Highlighting the ranch are miles of both Willow Creek and Deep Creek that carve a deep and protected riparian corridor through the landscape creating ideal habitat for wildlife and trout. The elevated rims of these creeks are lined with teepee rings and other Native American remnants. If one desires to explore the soft rock escarpments that line the riparian areas, ancient dinosaur bones have been and can be discovered dating back more than 60 million years. The ranch harbors strong numbers and a wide variety of wildlife including elk, deer, antelope, upland birds and frequently grizzly bear. The sweeping views of The Front are stunning from the ranch, and one has multiple building site options on this entirely unimproved landscape. It is truly a blank canvas. As one approaches the ranch from the primary entrance to the east, the prairie begins to undulate before it sharply collides into a massive overthrust headwall of granite somewhat cloaked by a conifer forest. The panoramic view of the Front is indescribably beautiful and something that can only truly be appreciated in person. Upon arriving at the east end of the ranch, the county road continues all the way through to Pishkun Reservoir located a few miles to the south. Willow Creek collects water from the nearby Pine Butte fen as well as other smaller resources coming out of the mountains and pushes into the ranch from the northeast. The creek bottom has a wide, willowed riparian area with over six miles of creek twisting through the bottoms, providing an incredible habitat and lush irrigated fields before exiting and confluencing with Deep Creek to the east. One immediately notices the two pivot irrigated fields as well as all the succulent forage growing in the flood fields adjacent to the pivots. This area is the “working” end of the ranch and would be an ideal location for a ranch headquarters. From the east end, the ranch continues uninterrupted for the next 11.5 miles with its widest point being roughly seven miles wide north to south. Hay Coulee runs right up the mid-section of the ranch for over 5.5 miles spanning east and west. Traveling across two-track ranch roads towards the west, one passes through large fenced pastures which are a combination of tame grasses and native range lands with water troughs and springs interspersed strategically throughout. Midway through the ranch, the lands expand to the north and south all the while slightly rising in elevation as Willow Creek departs to the north. It is here that Conservation Reserve Program (CRP) lands reside and blend with the taller tame grass fields and additional native landscape. Not apparent in the view are the deep creek bottoms of both Willow Creek and Deep Creek. The shrubby cinquefoil bottom of Hay Coulee is also absent from view. This perspective adds to the enjoyment as these land amenities come as a bit of a surprise when approached. Continuing west and to the south, the mountain views become much more “in your face.” Traveling through a large stand of CRP, one reaches the rim of a deep gorge that is home to one of the great hidden treasures of the ranch—Deep Creek. Deep Creek is an impressive habitat spanning 0.5-mile-wide on average and dropping over 100 feet into the bottoms. The rim is a continual line of teepee rings, and the Native Americans selected this site to camp for good reason. Beaver have played an important role in this ecosystem over millennia as they provide a constant disruption to flows cutting new channels and naturally storing water through this reach of dense willows and cottonwood trees. Deep Creek itself meanders for roughly eight miles through this incredible corridor. A ranch road crosses a relatively gently sloped wide spot in the creek bottom through a dilapidated set of old improvements that makes one wonder what it would have been like to live there over a century ago. The road crosses over Deep Creek via a private bridge continuing in a southerly path reemerging from the creek onto the south rim. The topography and views once again change as one ventures up the creek towards the looming peaks of Castle Reef. The lands begin to have more of a rolling nature sporadically inhabited by ancient Limber Pine trees which can reach hundreds of years in age. Larger rock formations become more apparent, some of which hold seasonal waters used temporarily by livestock and wildlife. The ranch lies approximately nine miles west of Choteau (population. 1,684) and is accessed by a well-maintained graveled county road. Interestingly, there are three unmanned missile sites located along this road with the advantage being that the US Air Force creates and maintains roads to their sites that are well beyond normal county standards. As a result, the road is generally a smooth, high-speed, all-weather road making the trip to town and elsewhere a quick and easy event. State Highway 89 is the main north/south route through this region connecting multiple small communities to Great Falls and north to Glacier Park lying 90 miles distant. 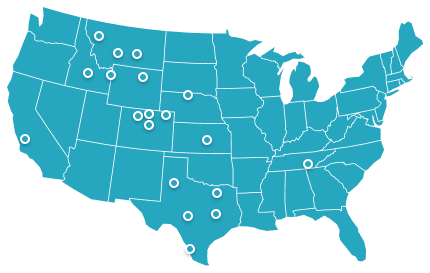 Great Falls, one of Montana’s largest cities, lies 55 miles to the southeast providing commercial air service via Alaska/Horizon and Delta Airlines. Choteau has a private airfield capable of handling a variety of private aircraft. The elevation is 3,947 feet and the airfield has multiple asphalt landing strips with the largest being 5,000 feet long by 75 feet wide. The Rocky Mountain Front has a storied history. The Old North Trail, once connecting the continents, was used by early-day man and passes directly along the flank of the mountains just west of the ranch. Numerous teepee rings dot the ranch particularly along the rim above the creek bottoms. The area was settled by farmers and ranchers, and agriculture remains the primary driver of the region’s economy. Irrigation storage reservoirs were constructed long ago for impounding water and delivering it via large canal systems to area farmers. The nearby Fairfield Bench is likely the most notable part of this agricultural area containing vast irrigated and dryland fields, and is the area’s largest producer of hay and small grain crops, including malt barley for the brewing of beer. Large-scale cattle operations are still abundant and this general area has remained true to its western heritage made famous by the paintings of Charles M. Russell. Choteau is the county seat of Teton County. This classic western town was developed around the centerpiece of the one-hundred-year-old courthouse. The town has a variety of eating establishments and an array of service providers including schools, grocers, taverns, a hospital, public swimming pool, nine-hole golf course, banks, etc. A visit to the Old Trail Museum gives insight to the era of dinosaurs that once roamed these lands nearly 80 million years ago. Paleontologists have extracted many of these creatures, including the infamous T-Rex, as well as plant-eating dinosaurs. A site known as Egg Mountain unearthed the richest and most important paleontological find ever. It is in very near proximity to the ranch on the Nature Conservancy’s Pine Butte Swamp lands. The area remains slow paced and resistant to significant change. Major cities and resort communities are distant enough to keep land speculators and developers at bay. As a result, it has managed to retain its open spaces and agricultural landscape. One thing that rings true with virtually everyone whom one meets in this region is their deep appreciation for the open lands and their admiration and respect for the rugged wilderness that sprawls across their entire western horizon. The Bob Marshal Wilderness complex parallels the continental divide encompassing over 1.5 million acres. It includes the Scapegoat and Great Bear wildernesses and collectively is the second largest dedicated wilderness that exists in the US. It lies contiguous to Glacier National Park to the north and contains some of the most rugged, wild, and scenic lands in the world. “The Bob’s” most notable feature is the Chinese Wall, which is a massive escarpment with a towering 1,000-foot headwall that extends for nearly 40 miles through the complex. The rugged mountains and dense old growth forests contain hundreds of lakes, streams, and waterfalls which collect into large trout-filled drainages that tumble out of the mountains and across the prairie. Biologically speaking, this is a high-value ecosystem and is home to an impressive variety of wildlife and claims the highest population density of grizzly bears in the lower 48 states. The Rocky Mountain Front is one of the last places where these great bears still venture out into their original habitat—the open plains. The Bob Marshall is classic horse country due to its vastness, navigable terrain, and wide mid-elevation river valleys with abundant forage or grazing. A network of over 1,000 miles of maintained trails make their way through the wilderness giving access to more primitive trails as users venture deeper into unimaginably picturesque alpine terrain. The Nature Conservancy (TNC) has acquired and preserved large-scale, ecologically sensitive lands in the immediate vicinity of Deep Creek Cattle Company through both acquisition and easement. The Pine Butte Swamp Preserve was purchased in the early 1980’s by TNC and set aside as a preserve. This represents the largest wetlands complex along the Rocky Mountain Front and is the last stronghold for grizzlies on the plains. A 500-foot sandstone butte for which it is named is the distinguishing feature of this preserve and can be seen looming on the northwest horizon of the ranch. The array of ponds and wetlands created by the Teton River and its tributaries provides a wealth of vegetation creating habitat for a diverse fauna. Volumes of conservation easements have been acquired or donated in the area of the Preserve, which remains a priority on a national level. As one moves north and south of the ranch, other areas along the Eastern Front have also been protected. The Blackleaf and Ear Mountain Wildlife Management Areas and the Boone and Crockett Club purchased a large ranch on the front just north of there. To the south, The Sun River pours out of the wilderness and into the plains creating a massive travel corridor for wildlife. Recognizing this, the State of Montana established the first state game range there, the Sun River Wildlife Management Area, spanning nearly 20,000 acres. As a result, the Deep Creek Cattle Company, and its immediate neighbors have become a critically important landscape in a virtual sea of protected lands. As is typical for most of the Rocky Mountain Region, weather patterns are unpredictable. Temperatures can sink well below zero in the winter or climb into the 90’s during the late summer months. Overall, most people find that the low relative humidity maintains a comfortable environment even during these extreme times and typically average temperatures remain at pleasant levels throughout the year. Average precipitation is estimated to be 11.5 inches. Snowfall in the lower elevations of the ranch and surrounding area is light throughout the winter. The snow will accumulate briefly and virtually all of it will evaporate throughout the winter months with the occasional warm Chinook winds causing large temperature swings and melting/evaporating what little snowfall remains. Most of the rainfall occurs in May and June. The changes of seasons are always quite dramatic. Subtle hints of forthcoming seasons give way to accelerated change and with new weather patterns also comes a notable amount of wind averaging 15 mph but capable of more violent gusts and sustained wind gusts. Although the winds can seem extreme at times, it is because of them that the grasses remain available to livestock and wildlife throughout the winter. In March of 2008 a conservation easement was placed on a portion of the deeded lands. This encumbers 11,325 deeded acres of the 15,840 total. The easement prohibits any further subdivision of the lands within the easement, and allows for a specific building site identified on the map and in the content of the CE document. The CE also provides that one can construct “reasonably sized new non-residential agricultural buildings and structures.” However, it expressly prohibits “show or riding arenas of any size or any structure exceeding a 5,000 SF footprint” (Section 4c). Notable is that paragraph 5(h) allows two “transfers” of land not to exceed 200 acres for boundary realignment or agricultural purposes. One of those transfers has already been exercised in a previous sale to a neighbor. 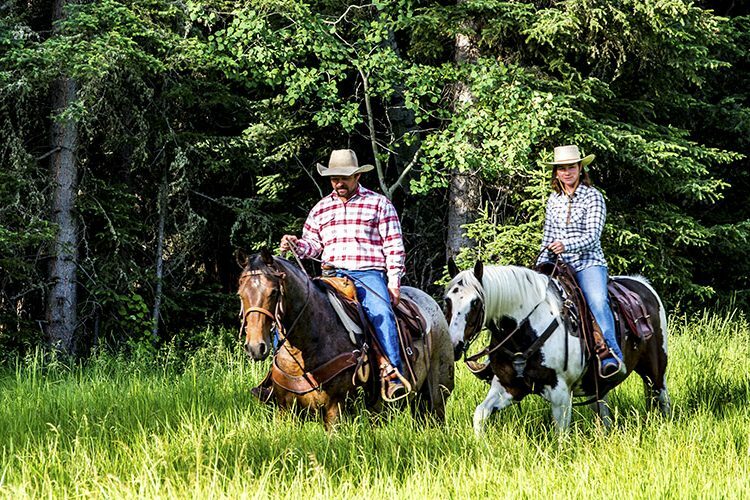 Generally, the lands encumbered by the easement can be fully utilized for ordinary ranching purposes and recreation. There is a 120-acre tract in T23N, R7W Sections 9 & 10 that is not in the easement. Further, 920 acres located in T24N, R7W Section 35 and the S ½ of Section 34 areexcluded from the CE. There are approximately 4,555 ± deeded acres not included in the conservation easement including virtually all the lands beginning in Section 18 extending to the east. This area includes Willow Creek, the storage reservoir, and all the irrigated lands. For someone wishing to build an owners residence, the location preselected inside of the easement overlooking Deep Creek is perhaps the most beautiful location on the ranch. However, the entire east end having no restrictions would also be suitable for a residence and other ancillary structures near the irrigated lands where the cattle also most likely will winter and where hay would be stored. There exists an old set of buildings (house and small outbuilding) below the designated build site in T23N R7W Section 24. It is not permissible to refurbish this dwelling as a livable structure. The ranch encompasses two large deep drainages carved by mountain streams pushing their way across the prairie into the Teton River and ultimately into the Missouri River system near Great Falls. These are wild and pristine streams shrouded by dense willow with pockets of cottonwood. The streams are in a constant state of interruption from beaver colonization, which naturally stores water in the streams and carves new channels. These streams are as sinuous as they come with oxbows nearly touching and elongating the actual mileage of these systems substantially. Both aptly named- Willow Creek and Deep Creek. These streams confluence just below the ranch as they make their way east. In addition to their recreation usage and aesthetic appeal, Willow Creek is the primary water resource for the ranch. There are direct diversions for flood irrigating along the fertile bottom lands which grows tall native grasses through the growing season. Smith Ditch receives water from a diversion northwest of the property and delivers it to two large flood irrigated fields on the bench, while also providing water to both pivots. The State of Montana has gone through the adjudication process over the last ten years. The result is that the adjudication is now complete and there is unified enforcement and orderly administration over the entire Teton River Basin. The ranch has an abundance of natural flow claims out of Willow Creek. These claims may be cut off later in the irrigation season which essentially limits them to a spring flooding of the irrigated meadows. However, they are fortunate to also have a permit to store water early in the season. The stored water is utilized for the remainder of the irrigation season to operate the pivots. A 21± surface acre storage reservoir located in Wolf Coulee was originally constructed in 2002 and then reconstructed and permitted in 2010 to its current scale providing supplemental irrigation water to two pivots for up to 279-acre feet. The reservoir can be filled from a direct diversion out of Willow Creek utilizing Smith Ditch as a conveyance beginning March 1st and ending June 30th with the period of use being July 1st through September 30th. The process of managing the reservoir is undertaken by Water Commissioner Bob Scott at a cost of $2,000-$3,000 as an annual expense paid by the landowner. The Water Commissioner records flow measurements which are filed with the DNRC annually. A series of stock water wells were drilled over the years in strategic locations across the range lands. Solar and gas-powered pumps pull water into various pipelines dispersing water to multiple tanks for use when the livestock are utilizing pastures. Many of these wells and tanks are supported by electrical lines which have been strung into them. Turek Water Right Research, a Montana water specialist, has been engaged throughout the lengthy water permitting and adjudication process. To the best of their collective knowledge, the adjudicated rights and the permitted reservoir are all in good standing with the water court, DNRC and FWP. The subsurface minerals estate is separate from the surface. Commonly minerals estates are severed through decades of ownership. It is unknown what is owned by the seller and all rights owned will be transferred at the sale with no reservations. Given the large landscape of the ranch and great diversity of the Front, it is no surprise that Deep Creek Cattle Company has a robust assortment of wildlife that roam these lands. The uplands are suitable for antelope and an abundant mule deer population. Some of the pastures that grow taller native grasses along with the expansive CRP lands hold strong numbers of sharptail grouse. The riparian bottoms along Willow and Deep Creek are very rich ecosystems. Dense willows, beaver ponds, cottonwood groves, and scattered pines along the canyon edges harbor large whitetail deer, moose, pheasant and quite often grizzly bear. Elk frequent the ranch through the fall and winter. Big horn sheep are occasionally seen on the western end of the ranch along Deep Creek roaming through the scattered Limber Pine forest on what is typically their winter range. Other large carnivores including mountain lion and wolves follow the wildlife as it travels through the seasonal ranges and can be found through various times of year. Willow Creek is a small, meandering stream with dense willow communities that courses out of the mountains and across the plains merging with Deep Creek just below the deeded lands. Willow Creek is an irrigation water resource that depletes during the base flow months to marginal levels downstream below the ranch. The stream is quite private and virtually no public data exists on its viability as a fishery. The flows from the North and South Fork pass through the ranch at a fishable volume and trout reportedly exist in this reach of the system. There are just over eight meandering miles of Deep Creek carving its way through the ranch in a shallow but rather majestic canyon. Deep Creek is perhaps one of the most pristine, unmodified private reaches of trout stream in Montana. It is an excellent, stable, and highly sustainable fishery consisting primarily of rainbow trout, with lesser numbers of brown and cutthroat/rainbow hybrids also present. A sampling survey produced fish ranging from 6 to 18.5 inches. The fishery receives little to no pressure as the viable reach of this fishery exists only on private lands and Deep Creek does dewater below the ranch as a result of downstream irrigators. The fishing experience is unusually diverse. This dynamic stream has a seemingly endless riffle/run/pool effect with undercut banks often hardened by the woody debris washed into it creating ideal habitat. These fish receive virtually no angling pressure. Beaver activity has a constant and positive effect on cutting new channels and creating new fish habitat. The beaver ponds themselves also appear to hold strong numbers of fish adding to the angling adventure. The private fishing experience is virtually unrivaled. Few other places, if any, can boast the level of solitude and quality of fishing that one will find in Deep Creek. It also offers a unique opportunity to view and encounter wildlife such as grizzly bears which most frequently occur only within national parks. Compared to Willow Creek, Deep Creek has much more volume with flows ranging from 138 CFS during the peak month of runoff (June), to a base flow of 12-30 CFS during late summer months of August and September. Typically, when the water reaches its lowest volume, the creek does not reach the main tributary of the Teton at Choteau. However, this upper reach remains a vibrant fishery even through the dry periods as very little water is diverted through the upper system prior to leaving the deeded lands of the ranch. The ranch in its entirety has been leased to DeBruycker Charolais for more than two decades. There are two leases in place, one on the Teton Prairie portion of the ranch and one on the Deep Creek Grazing Association portion. 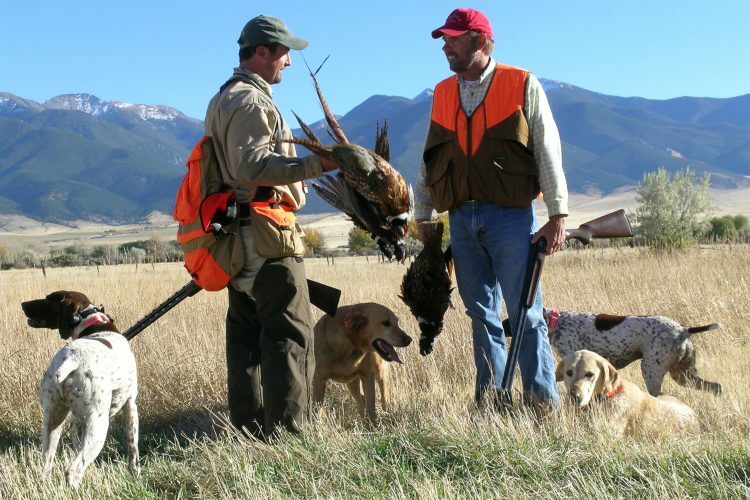 Lands enrolled in the Conservation Reserve Program (CRP) are excluded. Both leases are effective through December 1, 2027, but may be terminated by the Lessor with 12 months notice. The Teton Prairie lease payment is $8,000/month and is capped at 1,100 Animal Units (AU). The Deep Creek lease payment is $6,000/month and is capped at 700AU. Total lease compensation is $168,000 annually. DeBruycker’s run on a much larger landscape than the subject lands and consequently the ranch is not operated as it would be as a stand-alone operation. Notably, DeBruycker’s have stocked the ranch at what is viewed as 80% of actual capacity and utilized the irrigated lands in a manner that works for their greater operations. Typically, 400-450 pairs plus 50-75 fall-born heifers would range out on the ranch from June 1st to October 15th. After the calves have been weaned, 600-650 cows are turned back out and fed through the winter beginning in mid-December through spring from the roughly 1,000 tons of hay harvested on an average year. Irrigating begins in May. The main source of water out of Willow Creek generally provides ample water to run the pivots and flood fields through the first cutting occurring in mid to late June. Once the flows recede, the primary diversion (Smith Ditch) is supplemented by the stored water in the reservoir which is located adjacent to the pivot fields. This water generally keeps the fields wet through July and usually provides enough water to produce a second cutting. The fields are in various stages of hay production that include tame grasses and alfalfa. First cuttings on fertilized fields under the pivots will usually yield 1.25 tons per acre with second cuttings averaging around three-quarter ton per acre. The two Valley pivots are 144 and 243 acres and were installed in the mid 1990’s. The flood irrigated fields are used for irrigated pasture with some meadows being cut to produce around 250 tons of grass hay per year. The range lands consist of native short grass prairie including species such as Prairie June Grass, Bluebunch Wheatgrass, fescue and other nutrient rich native plants. Substantial portions of the rangeland have been converted into improved pasture and CRP. The ranch has been meticulously maintained, generally understocked, and an aggressive weed management program has proven to have substantially mitigated any weed issues. Roughly 1,837± deeded acres are currently enrolled in the CRP program. These acres are planted into a grass seed mix that produces a significant amount of forage. It is notable that the cattle capacity would increase should these lands be removed from the federal program and put back into grazing operations. The annual income from CRP payments in 2018 is $79,262.